Day two on our trip east. I had wonderful sleep at the hotel. Now breakfast posed a bit of a challenge. See, you have to sign paperwork saying you won’t leave the dogs alone in the room. And when I checked in, they were quite emphatic about that. So running to grab food to load up my plate was a rather hurried affair. 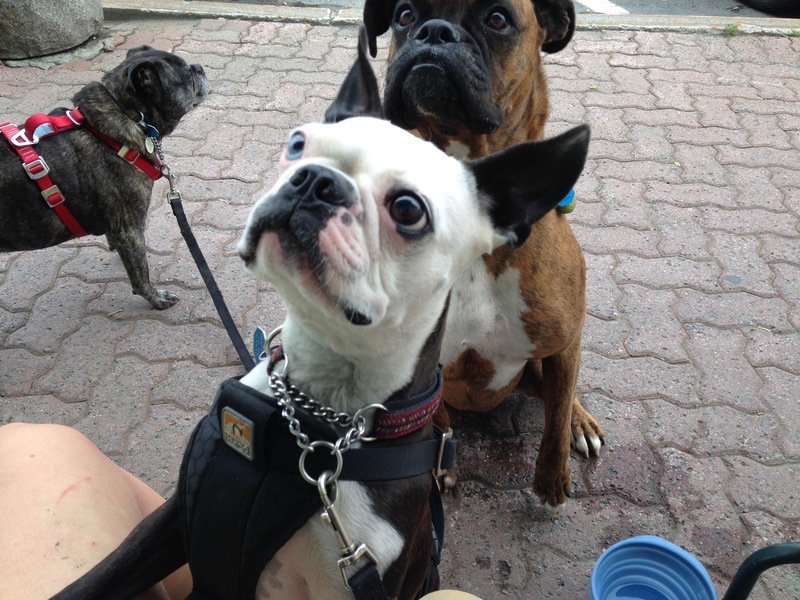 And there were staff cleaning the room beside mine and saw me come in from our pre-breakfast walk with three dogs. Cue the Mission: Impossible theme music. I’m not normally that worried but the nice man at the front had been making such a big deal about it that I didn’t want to cause any troubles, especially for him. We checked out and hit the road. 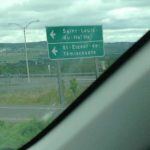 Nothing really exciting to see until I saw a road sign that had me extremely confused for a place called, and I’m not making this up, “Saint-Louis-du-Ha!-Ha!” At first I thought it was a joke (get it?) but then I realized that it was a real place. I thought about stopping but my curiosity was not quite piqued enough until…. I’m driving down the highway and I look to my left and by the time I register “fromagerie” I’m way past. No way. Not on my watch. I took the next exit and made my way back. 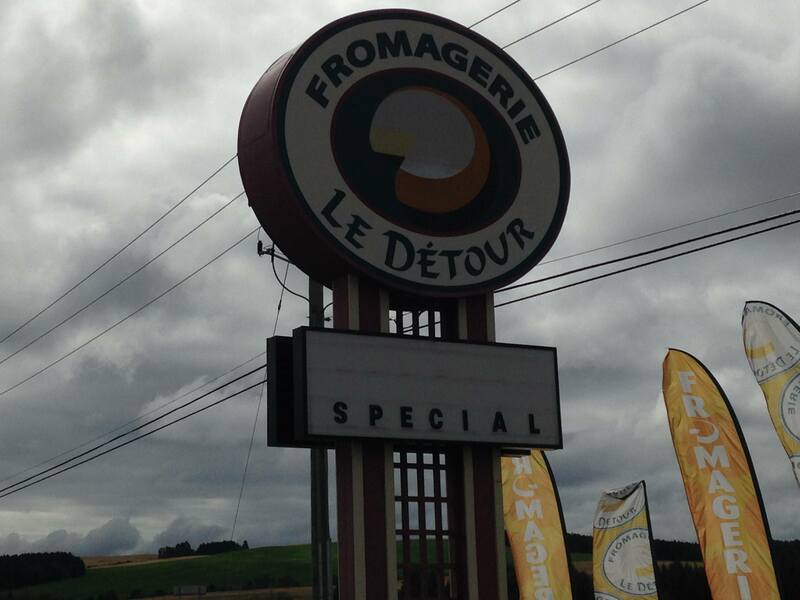 Fromagerie de Detour. How appropriate: a cheese shop that I had to detour for. I sampled and tasted and left with more cheese than I planned. Partly because the girl at the counter gave me a small wheel of amazing Brie. If you’re in the area, you have to go. And then we’re into New Brunswick. In Edmonston we stumbled across Cafe Lotus Bleu, and I start talking with the owner (I think). We chat and chat and chat and she sends me on my way with a date square along with my order. It’s. Still. Warm. Normally I’m not a huge date square fan but she talked about it so much I had to eat it right away. I sat out front and enjoyed the square with my coffee. I had to share too. Leo loved it. Apparently Leo loves date squares. From there we headed toward Moncton. I had thought maybe to stop there but then I decided against it. We did stop at the best dog park I have ever been to in Centennial Park. The main section is huge with a few smaller fenced in areas. Definitely worth stopping at if you’re passing through. With rain in the forecast I decided against tenting. We kept driving and driving and finally we got to the ferry in Sydney Mine to go into Newfoundland. Or rather we got close. I wanted to be there first thing so rather than get another room, we had a snooze in the car. I did take a photo of Piper draped across my lap but it was too dark to really post. At least this time the temperature stayed much more comfortable than that one night we slept in the car in Montana.